Following yesterday's ascent of Margherita Peak (5109m), we successfully continued testing of our drone (quadcopter equipped with gimbal and gopro video camera) at high altitude (4800m). Great results so far. http://ow.ly/i/4rDbB. 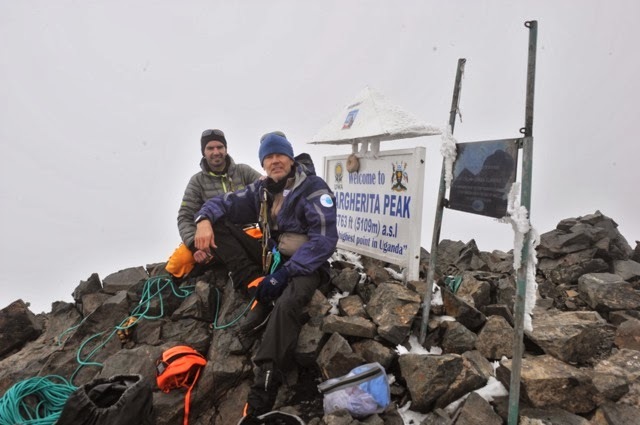 Pax Arctica Rwenzori Expedition Day 6 – Reaching Margherita summit at 5109m. Thursday. Jan. 23, 2014 - 10 am local time. Today is an important day. Waking up at 3:30am for what will be a long day. 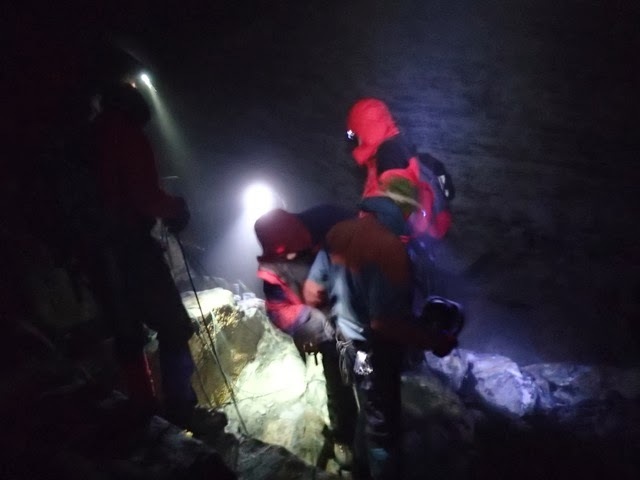 Starting climbing at night (4am) with headlamps. 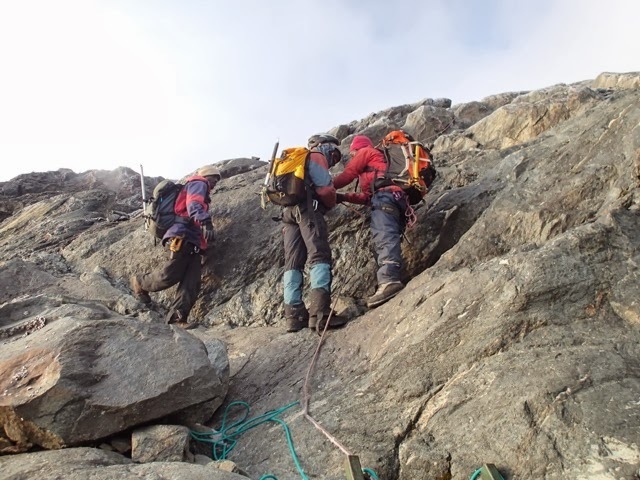 A complex mix of rock climbing, technical glacier progression and crossing with ice axe and crampons, fixed rope, rappelling, crevasses crossing, etc. We do frequent stops for GPS measurements and videos/photos. David, our Chamonix-based mountain guide, photographer and friend is proud of us (for those interested, my max heart beat during the day: 163 - average of 115 - that is how data driven we are!). We finally reach summit at 10am, all tired and excited. The weather has been mostly sunny and beautiful since sunrise. 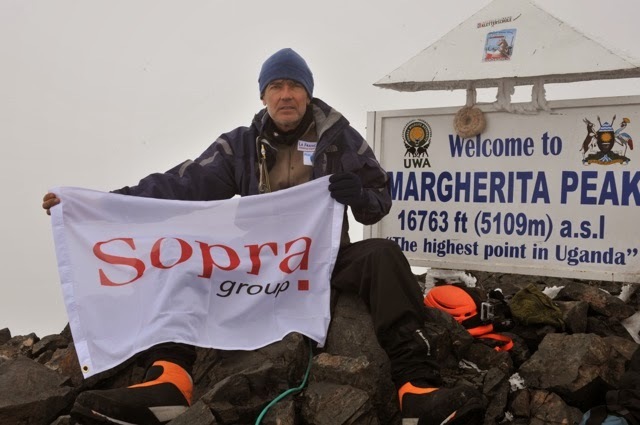 We take a few pictures for sponsors and partners (SOPRA Group, La Française, Green Cross, etc.). We get a good view from Congo from up there. Actually we could have gone down the summit to the Congo side if we had planned for it and if that region was not full of rebels and other risks! On the way back we do more measurements: crevasses (we go under the snout of the glacier to film), and Richard takes more soil samples just at the border of the glacier’s snout (to see what soil composition and vegetation exists as this particular glacier recesses. David is surprised that at this altitude the glacier’s ice seemed old and hard. This type of ice is harder to progress on as it requires good balance and self confidence. On the way down, we try to measure via GPS the exact line of the glacier’s snout. We do part of it, but at David’s instruction, we take some distance from the exact line as there are huge rocks inserted in ice right at the top of the glacier’s end (this can be very dangerous, as they can fall at any time being heated by the sun during the day and making surrounding ice less stable - we decide not to take life-threatening risks to collect data from this glacier). We go through a thunderstorm on the way down as we cross the nearby Alexandra glacier. And finally, after 11hr 01mn, we are back at Margherita’s base camp, exhausted, proud and happy! [some data here: 11hr 01mn of intense physical effort. 6km ground distance, 855m of cumulative ascents from our Margherita base camp at 4785m]. Yesterday we reached a path at 4450 m. We encountered both rain and hail; the weather changes rapidly in the Rwenzori Mountains. I shot some short videos to explain what has been going on locally (climate change & fires) with the help of our student Richard Atugonza. The videos will be posted on the paxarctica.org website next week. Sheila is feeling sick this morning: cold and headache. Probably altitude sickness, we are monitoring the situation carefully. Health first! 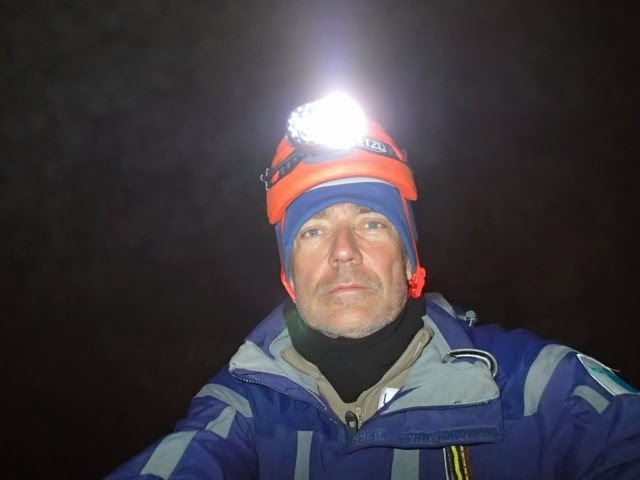 When we arrive at the Margherita camp, we will go to the snout of the glacier to take soil samples with Richard. These samples will be further analyzed at Makerere University in Kampala. We have been trekking for 3 days. David, Richard, Sheyla and I are all ok. We arrived today at a permanent camp. The weather is quite humid but fortunately not too windy. Today we tested the drone that we brought along for the expedition. Our goal is to get photos and video footage from above the Margherita glacier that we are hoping to reach in a few days. 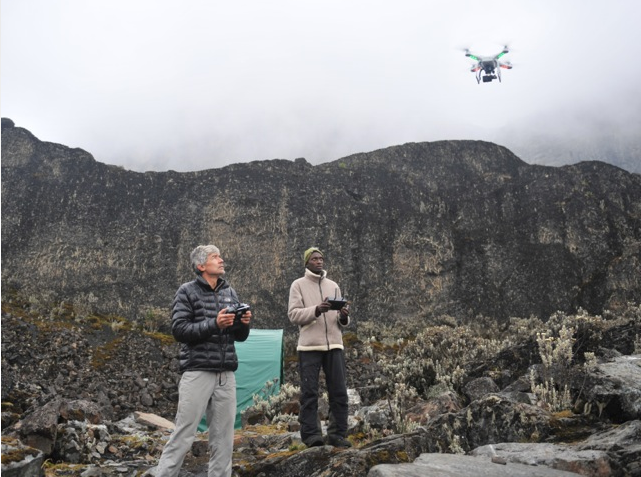 We've been told that using a drone at this altitude and above these glaciers will be a world's first, apparently no one has tempted to do this before. Rwenzori Mountains Expedition leaving soon ! 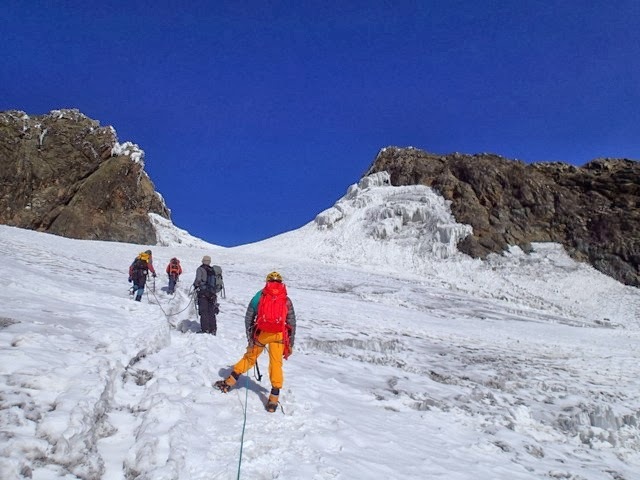 16 January, 2014 | Entebbe, Uganda: A two-week expedition of western Uganda’s Rwenzori Mountains, conducted by Pax Arctica, Makerere University’s Mountain Resource Centre and Green Cross International, is being launched tomorrow to raise awareness on the Africa’s vanishing glaciers and the global water crisis. The expedition is being led by explorer Luc Hardy, founder of Pax Arctica, an organization that promotes awareness of the impact of climate change on arctic regions. Mr. Hardy is also Vice President of Green Cross France et Territoires, which is part of the Green Cross International (GCI) global network, founded in 1993 by Mikhail Gorbachev to respond to the inter-related challenges of environmental degradation, security and poverty. 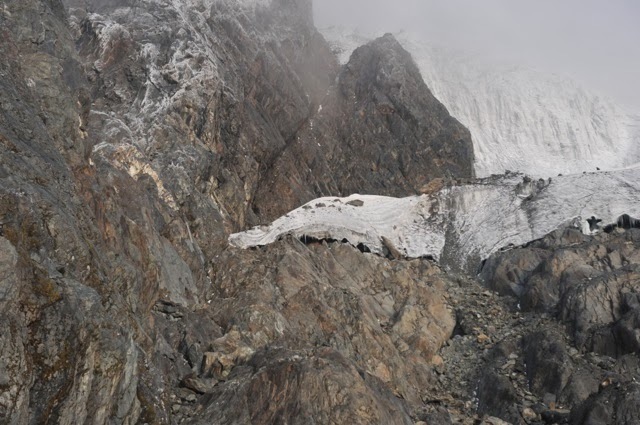 Scientists have predicted the glaciers located in the Rwenzori Mountains, or Mountains of the Moon, may cease to exist in two decades, possibly as early as the mid-2020s (Taylor, 2006). Studies have shown that from 1906 to 2003, the area covered by glaciers has reduced from 7.5 km2 to less than 1km2. Research efforts to discover the impact of the disappearance of these glaciers are now critical. 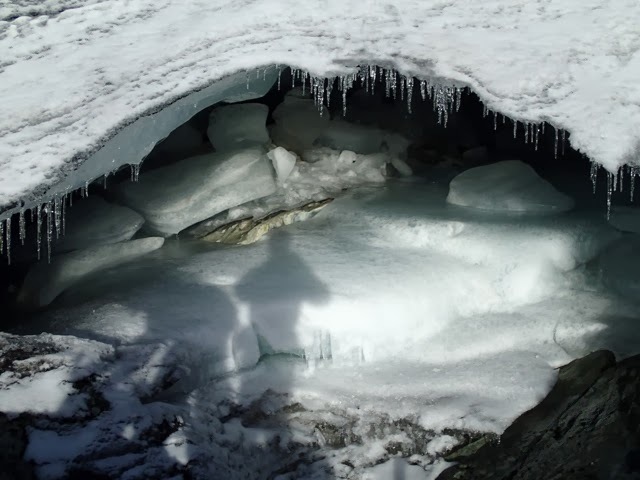 The findings of the Uganda expedition will provide valuable information about the effects of climate change on Africa’s fast disappearing glaciers, and the consequence it may have on water shortages and water ecosystems in this region. Other objectives are to investigate the composition of plant species in the region, and develop the Mountain Research Centre’s glacial monitoring capacities. Joining the expedition will be Sheila Ruyondo, a Ugandan environmental advocate and Uganda’s youth representative to the World Youth Parliament for Water, which aims to raise awareness among young people around the world on the global water crisis. Ms. Ruyondo was raised at the foot of the Rwenzori Mountains, and is dedicated to promoting the right to access clean, safe water as well as initiating conservation efforts in this region of Uganda. 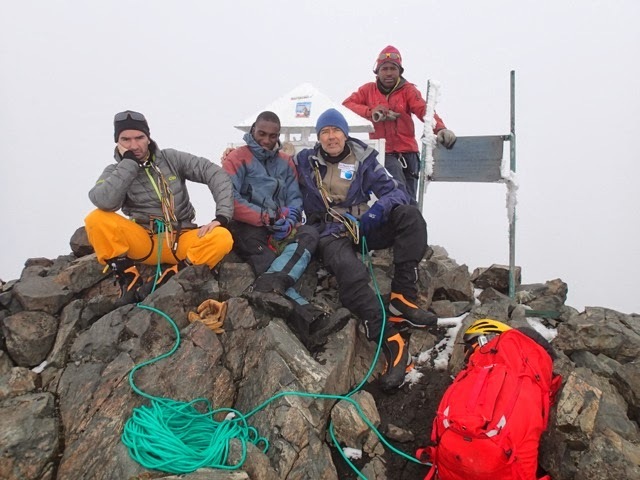 Mountain guide David Rastouil and Ugandan university student Richard Atugonza will also participate in the expedition. 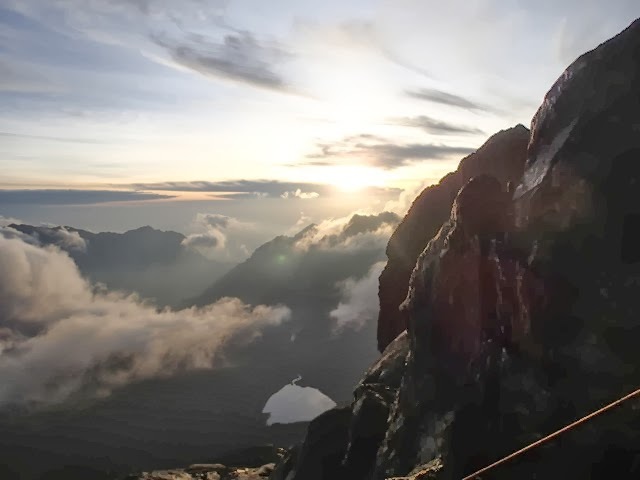 In an article by Pulitzer Prize winning writer, Tom Knudson, people familiar with the Rwenzori Mountains have noticed a disturbing shift in decreasing precipitation patterns in recent years. The lack of rainfall has caused many trees to die, diminishing the regions’ ability to soak up and store water, leaving downstream villages at risk for water shortages. For updates in the coming days about the Doomed Glaciers of Africa expedition, please refer to Green Cross International’s blog and Pax Arctica for movies, reports and photos. The Pax Arctica Initiative was created to promote awareness of the threats facing the Arctic regions, to convey a global message of peace and to support the introduction of new ecological regulations for the Arctic region. Luc Hardy is the leader of the Initiative, he is and adventurer, author, and member of the Explorers Club. He is president of Sagax, a US-based investment and management advisory firm. 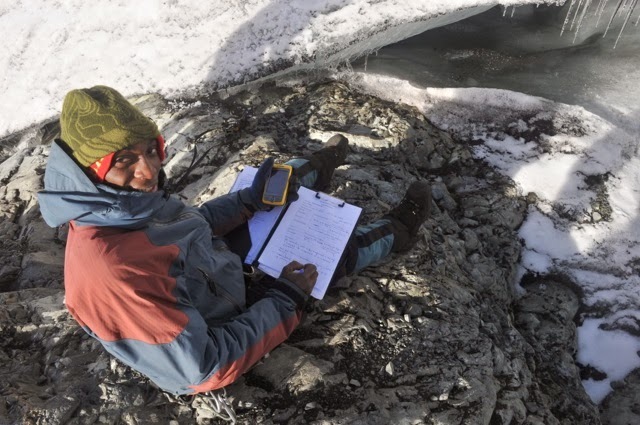 The Makerere University Mountain Research Centre collects information on mountain issues and brings together researchers that do work in mountain areas especially in Uganda but on global issues. 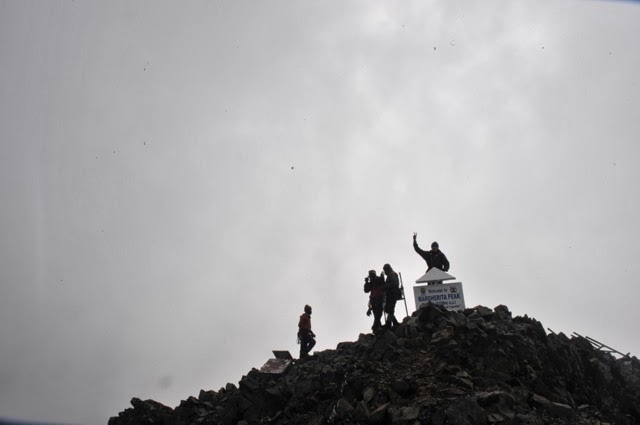 It is the focal point for mountain research involved in organising workshops, conferences, trainings on mountain issues and documenting mountain research. GCI was founded in 1993 by Nobel Peace Laureate Mikhail Gorbachev and is an independent non-profit and nongovernmental organization advocating and working globally to address the inter-connected global challenges of security, poverty eradication and environmental degradation through advocacy and local projects. GCI is headquartered in Geneva, Switzerland, has offices in some 30 countries and local projects around the world. The World Youth Parliament for Water is a network of young people acting for water. It is active in 71 countries, with a mission to advocate for youth participation in the water sector, and to implement concrete actions for water. It acts at all levels: from local communities, where it implements concrete actions and lays the foundations for universal access to water and sanitation, to the United Nations General Assembly, where it advocates for youth participation in the water sector.